For as long as I can remember we've always watched The Olympic Games together as a family. It's just something we've come to enjoy doing and cheering on Team USA. I enjoy it because it brings us all together for some quality family time. 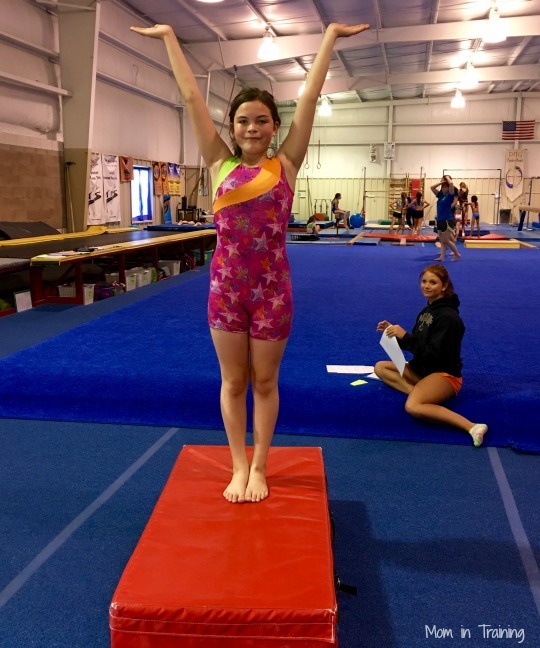 My daughter over the last few years has really taken an interest in the gymnastics portion of The Olympic Games and watching feature gymnast Simone Biles. So much so that she begged me to enroll her in classes so she could learn to be just like her. I can even recall her once telling me how she wanted to do the "gymnasts pose" just like they do as she called it. Well after some classes she says she has now perfected her pose. So of course like any mom would I had to take her photo to preserve the moment. It's amazing how kids can get their minds set on something just by watching someone on TV. It's so nice when it ends up being someone that sets a good example like Simone Biles does showing everyone that hard work pays off. Thankfully for me my daughter choose such an inspirational person and wants to follow in her footsteps when it comes to working hard and going far in gymnastics. If you've ever had kids in any sort of sport then you know stinky practice clothes will follow. But thanks to products like Tide PODS Original Scent Laundry Detergent you can rest easy knowing even the kids can help with the laundry. 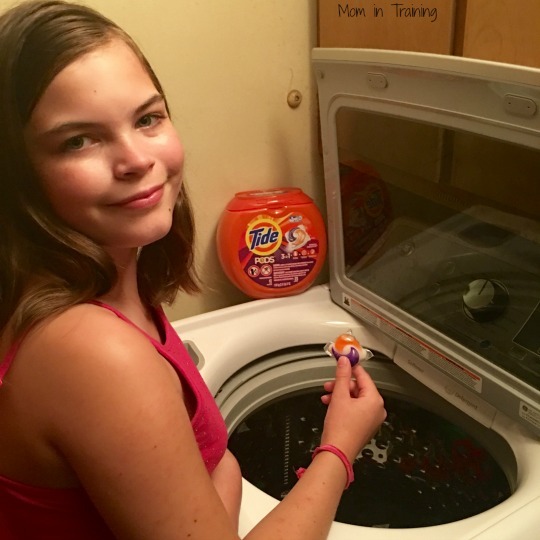 My daughter actually enjoys helping me now because she likes to toss in the Tide POD and then watch through the lid of the washer as it floats around before it dissolves. I like knowing that by purchasing and using products like the Tide PODS from P&G at Walmart I can help support Team USA. I mean who knows maybe some day that will be my superstar in the Olympic Games! 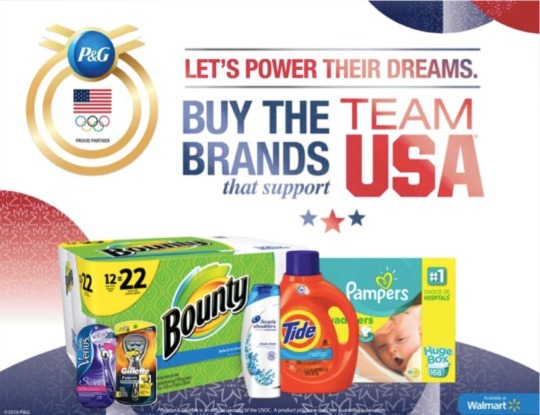 Don't forget when you shop for P&G brands at Walmart you too can help support Team USA. I've never tried using the Tide PODS before. Sounds like it's a great product!